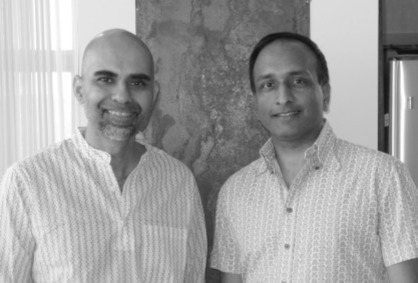 Atul Garg and Yassir Islam each felt isolated as gay men of Indian heritage when they each first moved to D.C. in the early 1990s. Washington lacked organizations for LGBT people of South Asian heritage, and in an era before widespread Internet communication, the community largely contended alone with a mainstream gay culture dominated by Western values and assumptions. Being out about sexual identity could often mean difficulty within the South Asian community. “It felt odd at that time to feel like I was giving up in some ways my South Asian identity to be gay,” says Atul. The two men lived in D.C. for years before they finally crossed paths — at an event organized hundreds of miles away. They had traveled separately to New York City for a 1994 parade commemorating the 25th anniversary of Stonewall, and they loved taking part in the march with a contingent organized by New York’s South Asian Lesbian & Gay Association. Never before had they engaged in one place with so many LGBT people of similar ethnic and cultural backgrounds, and they left the parade determined to build a similar community closer to home. An advertisement they placed in the Washington Blade kicked off the founding of what would become KhushDC, a community organization serving South Asian members of the LGBTQ community. “Khush means happy and gay, so it became a bit of a buzzword for being gay, like a secret word,” says Yassir. KhushDC began as a support group, helping its members to publicly come out in South Asian communities that often considered heterosexual marriage to be a key step toward adulthood. The organization later took on social and activist roles, and it has grown to represent a widening range of identities throughout its 20-year history. Launching KhushDC was a risk for Yassir, who was at that time an Indian citizen in the process of obtaining a U.S. green card. Yassir was born in Kinshasa, Zaire (now the Democratic Republic of the Congo). After studying at Cornell University and the University of California at Davis, he moved to Washington and has pursued a career in international agricultural development. Atul, a Chicago native, earned his MBA at Georgetown University. He is currently a real estate broker in Washingon.